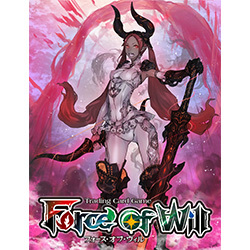 Force of Will, Inc. will release the first booster for the new Reiya Cluster � Ancient Nights, for the Force of Will Trading Card Game on September 8. A pre-release will take place in stores on September 1-3! The new set includes design elements to ensure easy and accessible draft play. The Ancient Nights set includes more cards that previous booster sets (165 total). Each Booster Box will include a pack of five Basic J/ruler cards (one for each attribute). Another change for this booster is the elimination of basic magic stones cards from the individual Booster Packs. Instead, the Booster Box will include a separate pack of 30 basic magic stones (6 of each kind) in addition to the 36 Booster Packs. The Booster Boxes have also been redesigned to lend themselves to easier card storage. These improved Booster Boxes will only be available for the first printing of a release. Preorder the Reiya Cluster - Ancient Nights Booster Box (FOWBPR0) and Pre-Release Kit (FOWBPR0PRK) now!